Building Homes in Hull, a summit. “Relative to its size, Hull City Council punches well above its weight in terms of house building,” says Councillor John Black, portfolio holder for housing at Hull City Council. He was speaking at the ‘Building Homes in Hull’ summit, presented by Hull City Council, and held at the Doubletree Hilton this week. The aim of the event was to promote Hull City Council’s ‘Housing Growth Plan’, encouraging businesses and organisations to contribute to house building, regeneration and refurbishment. Cllr Black outlined the authority’s work within the housing sector. The council is responsible for 24,500 properties, representing about 25% of homes in the city. In the last reported year 200 new homes were built by the authority, and another 150 are in the pipeline. With its partners however, the council has recently passed an important milestone, completing its 1,000th new home, on brownfield sites in the city. The regeneration projects that the council is involved with, alongside its important commercial partners, have attracted national recognition. However, the council must balance its work with large partners with the needs of smaller house building companies, explained Cllr Black, and it is to this latter sector that the event was addressed. In addition to building new homes, Hull City Council has also brought back into use over 700 empty properties, many of which were previously “a blight on the city,” said Cllr Black. These properties have been renovated and brought back into use in conjunction with ‘community partners’ such as the Local Enterprise Partnership (LEP). The importance of the LEP cannot be understated. Its work to encourage and support businesses, not just in the house-building sector, greatly adds to the economic stability of the city, creating well paid jobs for local people. Lord Haskins is the LEP’s Chair. In his address to the event he recalled the doom and gloom of the last 50 years or so for the city, since the collapse of the fishing industry, and contrasted that with the tremendous growth Hull has enjoyed in the last 5 years. This growth, he explained, is not just economic but also psychological. “Hull is now part of the national scene, an important part in the way the nation is going to develop in the future,” he said. Lord Haskins also identified an opportunity, many buildings are of modular construction, but the modules are currently being built abroad. “We should have a modular house-building industry alongside our caravan industry in this city, and we haven’t got that. We’ve got to try to make sure that happens,” he said. 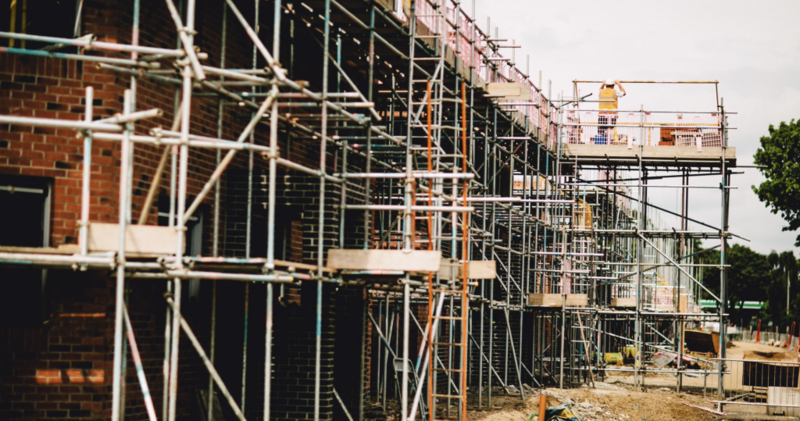 Despite worries about Brexit, worries about ever increasing energy requirements, worries about excessive bonuses paid to some in the house-building sector, worries about social and labour mobility, Lord Haskins remains optimistic. “The story so far is extremely encouraging, and I hope it’s going to continue, despite the challenges that arise,” he said. From a Hull City Council perspective, the ‘challenges that arise’ are routinely addressed by its full-time officers. Dave Richmond is the council’s City Manager for Housing and Neighbourhoods. A former social worker, Mr Richmond is aware of the impact poor housing and neighbourhood factors can have on families. It is his department that has to manage the council’s housing stock, and also to put strategies in place to help change and develop housing for the future. It’s not just the availability and affordability of homes that interests Hull City Council though, it’s also the nature of the neighbourhoods that’s important, explained Mr Richmond. These neighbourhoods have to be decent places in which people want to live. He cited the regeneration and redevelopment of the Hawthorn Avenue area, west of the city centre. “Housing can really turn around the fortunes of an area,” he said. The event provided a great deal of detail about what has been in achieved in the housing sector, by the council, by commercial developers, and especially by their working together. Other speakers outlined the help that is available to smaller house-building companies. This support includes legal advice, funding, planning and policy advice, skills training and apprenticeships, and help in finding small brown-field sites on which to build. The council recognises that it could be more active in releasing some of its own land, especially smaller plots, for companies to build on. As the city continues to develop, attracting larger companies such as Siemens to the area for example, creating more jobs, creating housing demand, it is essential that the housing offer addresses families’ needs. There was a real vibrancy amongst delegates in the room, a feeling that the city can continue to deliver on its housing strategy promises. Be the first to comment on "Building homes in Hull."